This section is in progress and will be filled. 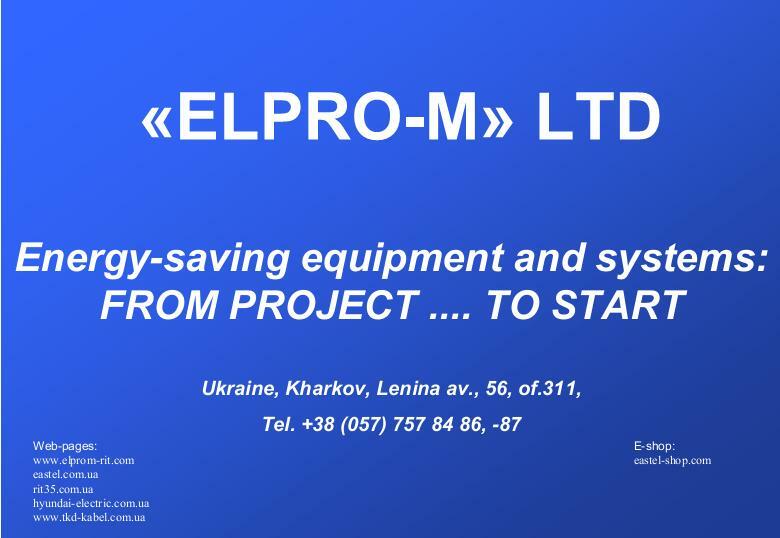 «ELPRO-M» Ltd, founded in 2001, offers services in supplying of a different electrical and heat engineering equipment, software and complex automation and electrification of objects of different industries «turnkey». and other, including modernization of faucets of the different setting, machine-tools of different types and etc. It is the PCS and monitoring dispatch systems, reactive power compensation system, frequency control devices of AC-drives, electric power accounting system, low-voltage and high-voltage complete devices (automation cabinets, substations, and etc. ), system of wireless data transmission, systems of caldrons work optimization and etc. All producible equipment can have different functionality and complication depending on the requirements of Customer. It is developed by own RD and technical departments at high engineering level. The production is conducted on the own equipped production areas (more than 500 m2). Acquisition: SIEMENS, HYUNDAI, ENDRESS+HAUSER, Moeller, COMECO, Rade Koncar, Danfoss, Wonderware, RITTAL, Incotex, UNITRONICS. Software of the following manufactures is used for performance of process control system upper level for collection, analysis, data storage and remote control of the processes: INTOUCH  universal SCADA system of one of the most well-known manufacturers of industrial software  WONDERWARE; WinCC  reliable SCADA for reliable SIEMENS equipment. 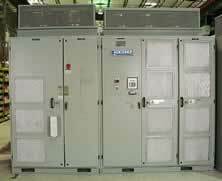 All the complex of internal and external power supply equipment including switchboards, complete cabinets, cells, transformer substation power 40-2500 kVA are produced within the framework of the standard program. As an official partner and representative of many foreign producers (Siemens, Moeller, Schneider, ABB, ETI, HYUNDAI, Rade Koncar and other), our company can offer a few variants of kitting-up of devices which are different by price and qualitative adjectives. As a budgetary variant of kitting-up we are ready to produce an equipment on the base of devices of domestic production (Eastel, IEK, ASKO and other). The consumer power ratio is automatically controlled by group (or individual) method according to input data, through the stepped and stepless variation of capacitors battery capacity with the use of microprocessor regulator. It allows to reduce the payment for reactive power for the enterprises, decrease the current load of equipment and cables, clear the net from harmonics and increase the life span of its power supply system. The own developments experience in this area and detailed engineering and economic analysis shows that the use of solid state switching device is economically the most advantage for the stepped devices. 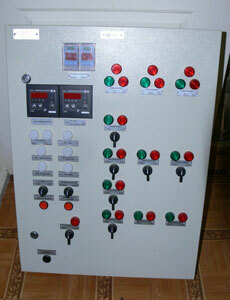 Frequency control devices of AC-drives. They provide complex of power supply actions with simultaneous exception of induction motor main disadvantages that determines their application for industrial drives. It means: refusal of application of any mechanical control equipment assurance of rotation speed accurate maintenance with variable load (with feed-back), assurance of cos=1, removal of non-productive energy expenditure in mechanical control equipment. Soft start device is the alternative for frequency control device with lower expenses that fundamentally allows to reduce drive start moment and protect the mains from large starting current. Additionally it reduces the mechanical loads of the main unit details, increases accuracy of the drive work and shortens time of overhaul equipment lay-up. Acquisition: SIEMENS, HYUNDAI, ELETRONNICA SANTERNO, OMRON, ASIROBICON, EASTEL, DANFOSS. In order to decrease the electric power costs, the automated information-calculating system of control and accounting is offered for the enterprises. Its feature is two loops of commercial and technical accounting that are integrated in one with the help of special software of our own development. The commercial accounting is made with on-line analysis of consume energy and automatic load control on dispatching control system of enterprise. The technical accounting is based on multifunctional analyzer of net parameters that function as the energy meter. 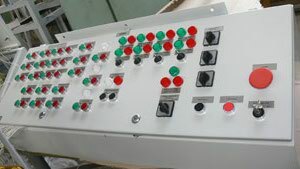 It allows providing the high-quality control system of energy consuming in which any informational and controlling elements may be integrated and thus receiving compact, accuracy and easy operating SCADA-system, which is easy integrated with any process control and monitoring systems. The radio communication of GSM standard, protocol Radio-Ethernet or wire communication through interface RS-485 (protocol MODBUS and so on) are used for data transferring. Acquisition: Incotex, MKS-TECHNOLOGY, CIRCUTOR, HOLLEY GRP, AREVA, Landys@Gir. 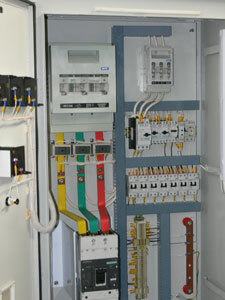 Communication system, GSM-controllers and modems. The opportunity of active information receiving from distant objects is the necessary condition in geographically distant systems. If the wire channels are absent, the difficulty and durability of their laying make economically profitable the radio communication using. The using of GSM communication system is the optimal solution of the problem. The general advantages are lack of costs for construction and operation of own radio communication system, also greatly reduced terms of system construction. For monitoring system construction with the use of GSM-communication we offer the universal data transferring device GSM-controller RIT35 (certified in Ukraine! ), which involves GSM-modem, controller, power module. The modularity of the device provides flexibility in every task realization. 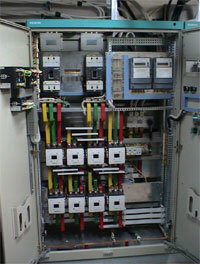 Taking into account the customers needs, the configuration may be adapted for defined task for costs reducing. The quality of our products and services is guaranteed by the experience of performing work for large –scale companies of Ukraine, Russia and Kazakhstan.